Welcome to the second stop on the Lexus LaceUp 2015 race series. After an enjoyable jaunt last week in Irvine, the LaceUp crew found themselves gathering pre-dawn (daylight savings ends next week) at Promenade Park overlooking the ocean in scenic Ventura. The entire Lexus LaceUp series offers very reasonable registration rates. For Ventura, the “earilest bird” rates started low ($25 for 5K, $45 for 10K, $70 for the half marathon) and increased as race day approached. But even for the latest of comers, the rates never got too high ($40 for 5K, $60 for 10K and $85 for the half marathon). On top of that, Lexus LaceUp offered plenty of online discounts (and some really nice ones too) so in the end the rates were quite light on the bank account. LaceUp Ventura offered packet pick-up the two days before the race at a local Roadrunner store (yours truly was there on Friday lending a hand to the crew), but also allowed same day pick-up (at no additional charge). Racers driving to Promenade Park had plenty of easy parking available at the Ventura Fairgrounds. The cost for parking was $5, which is rather reasonable given what some other races charge for parking at their races (talking to you Disney). 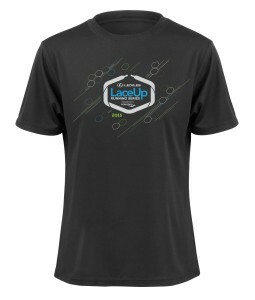 For people running other races in the LaceUp series, the swag was familiar. The tech shirt was similar to the one given at Irvine, but the race location “Ventura” was printed on the sleeve. Racers also got another reusable shopping bag to carry their swag (I look forward to hitting Trader Joe’s with mine). Racers also received the cool “honeycomb” shaped finisher’s medal. The ribbon (green for 5K, blue for 10K and white for the half marathon) also listed the Ventura location on it. The race also served as another notch for those trying to achieve special challenge medals. 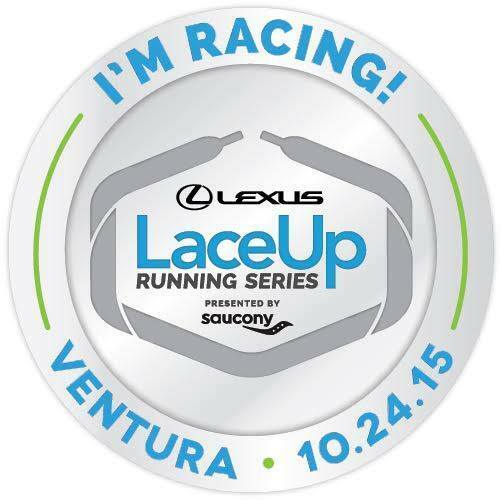 Those people who run all 4 Lexus LaceUp races (Irvine, Ventura, Palos Verdes & Riverside) will earn a special “LaceUp Challenge” medal. And those people who ran the Ventura Marathon (back on Sep. 13th), LaceUp Ventura this past weekend and the upcoming Santa Barbara Half (Nov. 7th) will earn the special “805 Challenge” medal. Bring on the bling. And Runner Buzz was once again on hand, providing runners with free digital photos of the race. 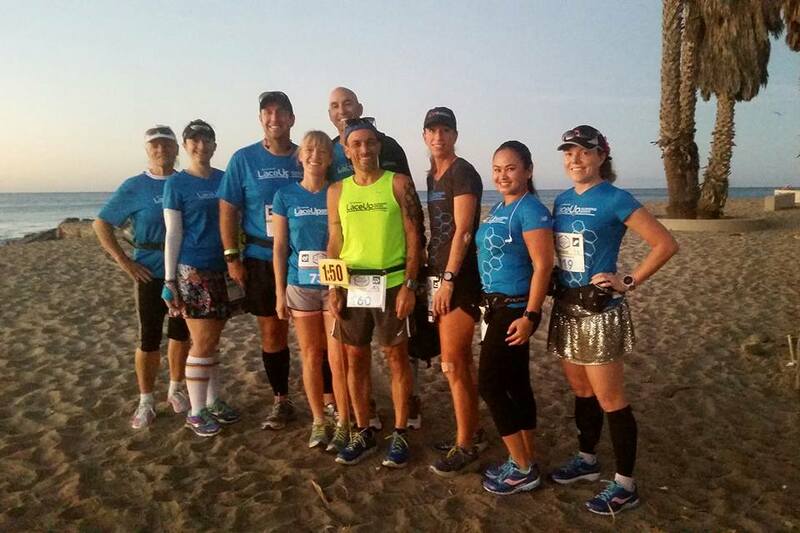 For LaceUp Ventura, each of the races shared common start and finish locations, as well as sharing parts of their courses. The 5K and 10K races utilized a loop course that began at Promenade Park and headed down the coast on surface streets before looping around and heading back up along the water. 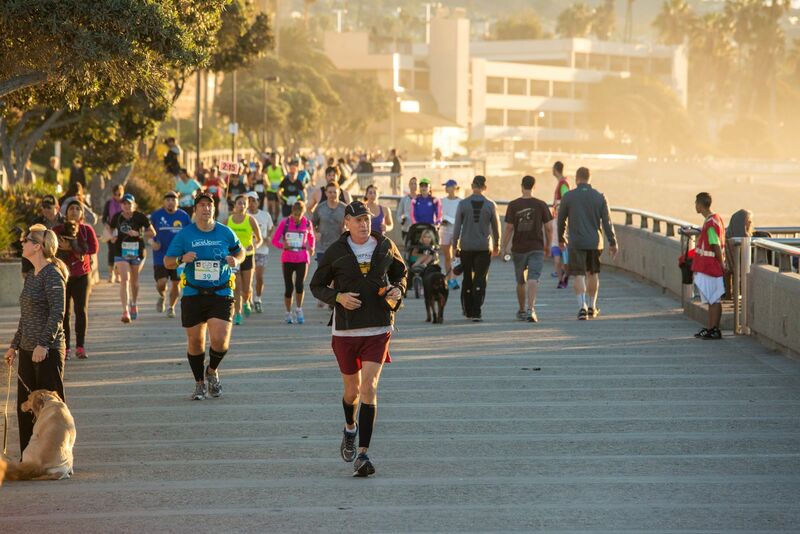 I ran the half marathon, which utilized a good chunk of the 10K course before continuing up (running parallel to the beach) along the oceanside bike path. The course then turned inland, utilizing a lengthy “out and back” route that followed the bike path, turning around at mile 8. We did cross a few streets during the course of the race, but police were present to ensure that traffic stopped to give the right-of-way to runners. According to the elevation charts, the half marathon course featured a slight upgrade as we headed inland (gaining about 120′ over three miles) and then back down after the turnaround. To be honest, I hardly noticed any incline, but after the turnaround I convinced myself mentally that I was indeed running downhill (a little bit of a “placebo” effect). 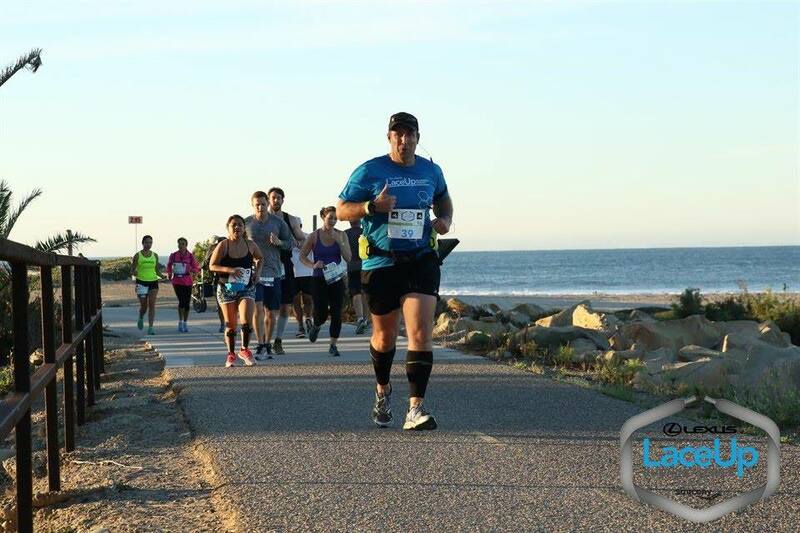 Those people who have run other races in Ventura will definitely remember parts of the course, but who is going to complain about running near the ocean (a nice view). The course services for the LaceUp Ventura were in keeping with those at the Irvine race. “Arrow” signs and volunteers were present at key points along the course to make sure that runners stayed on course. Water/electrolyte stops were present about every 2 miles (they served double duty on the out and back portions) with volunteers to make sure we stayed hydrated and to give some encouragement. Mile markers were present along the course but not digital timers except for at the finish line. Once again runners had B-tags on their bibs, which provided race results and info. People could also utilize the mobile “LaceUp app” for information about the race. The finish line services and post party were reminiscent of the Irvine race, as runners got their medals, snacks and then could check out a few vendors (including the Lexus display) or get a complimentary massage. As for me, I made my way right to the food trucks and their free grub for runners. This time around I chose a spicy chicken quesadilla and washed it down at the beer garden with another brew provided by Sierra Nevada. This was another enjoyable race in the Lexus LaceUp series (for the record, I am one of the Lexus LaceUp ambassadors). While these races don’t feature some of the polish or flash of the bigger (and more costly) races, these are intimate and informal affairs and worth the effort of waking up early and pounding some pavement. Posted on October 26, 2015, in General and tagged Lexus LaceUp Series. Bookmark the permalink. 2 Comments. Thanks for the note. I’m really happy to be part of both the LaceUp and REVEL race series as well as a member of the Team To End AIDS charity group. It’s really about the fun of meeting up and enjoying the experience with a group of friends. And we’re a little lucky in SoCal in that there always seems to be an abundance of races.